Kakamega Forest Kenya, October 2010. Jon Baker believes this might be Pseudargynnis hegemone. Another possibility is Phalanta eurytis, Forest Leopard. There are many large and showy butterflies belonging to the family Nymphalidae. 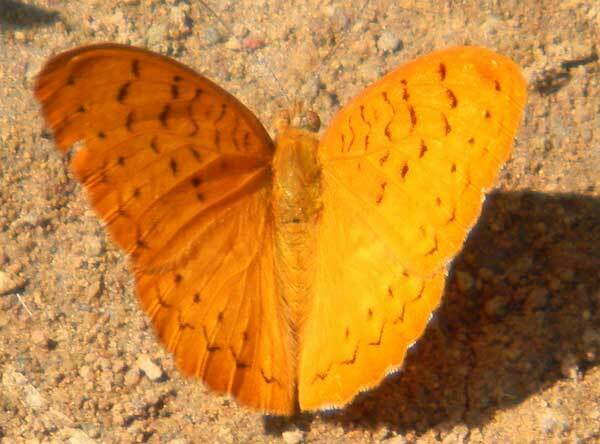 The common name, Brush-footed Butterfly, refers to the modified first pair of legs of the male. Indeed they look like small brushes and are not suitable for walking upon.